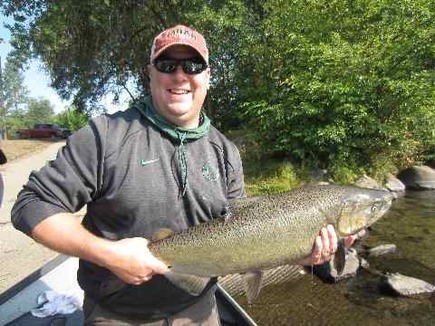 Carson's Guide Service is back from Alaska and ready to start working the Lower Rogue River here in Southern Oregon! Since I have been home I have worked a couple of days and had great success! 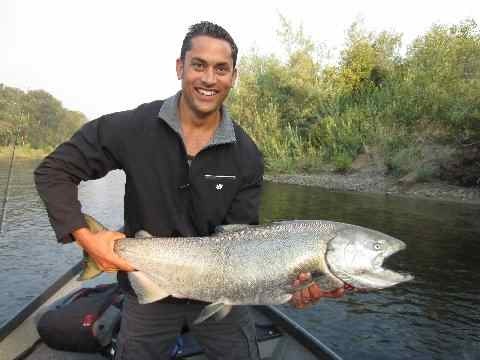 The first day I fished was on the middle part of the Rogue (Aug. 9) and we hooked and landed two salmon and two steelhead. 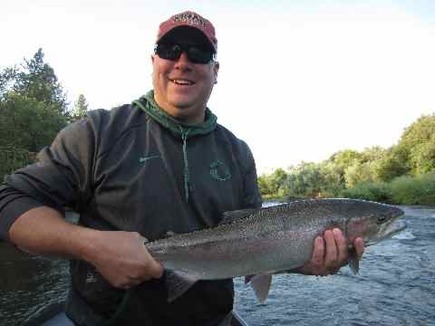 Yesterday we fished right in my back yard on the Upper Rogue and hooked four salmon and two steelhead. Army Core Engineers who owns the Lost Creek Dam on the Rogue river have just started to let out water for our Fall salmon. 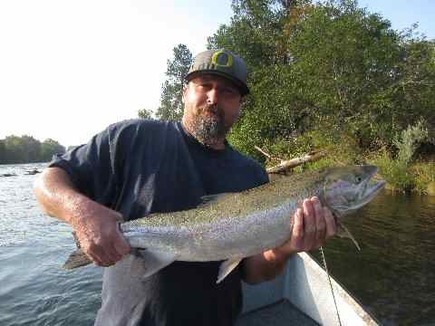 That's going to get those salmon moving up river and start our Lower Rogue River season! Ocean fishing for salmon as been really, really good this summer on the Oregon coast. We are looking forward to a great season! 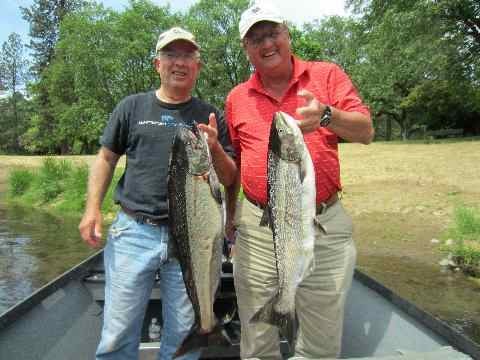 The pictures provided demonstrate how good the fishing in southern Oregon has been. Here's the dates I have available for the Lower Rogue season!! !